William Cobbing (b. 1974, London) lives and works in London. He was awarded the ACE Helen Chadwick Fellowship in 2005/6 at The Ruskin School and British School at Rome. The resulting works were exhibited as Gradiva Project at Freud Museum and Camden Arts Centre, with the embossed manhole covers produced for these venues remaining as public artworks. In 2009 and 2010, Cobbing had residencies at Turquoise Mountain in Kabul, the artworks from which were exhibited in his solo exhibition Reversals at Furini Arte Contemporanea, Rome. He is currently archiving the sound poetry works of his grandfather, Bob Cobbing, for an exhibition at ERC, Liverpool in October 2013, co-curated with Rosie Cooper. 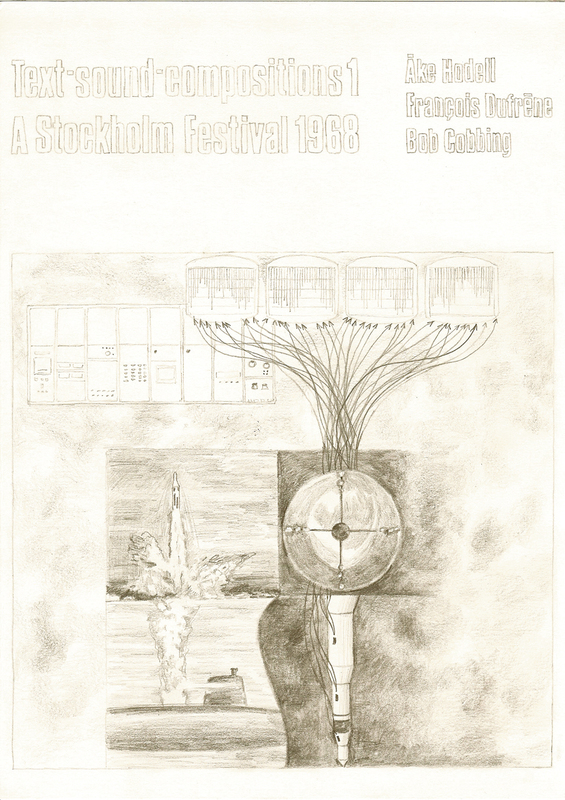 His drawing for the 2013 Biennial is based on the record sleeve of Sound-Text-Compositions 1 (1968) featuring Bob Cobbing’s poem Whissisippi. Selected exhibitions include: A Secret History of Clay Tate Liverpool (2004); Room with a View Gemeente Museum, The Hague (2006); SuperStories Hasselt Triennial, Belgium (2009); Man in the Planet Viafarini DOCVA Milan (2010); and Revolver 3 at Matt’s Gallery, London (2012).